Co-op is the way to go, and I would be lying if I said I didn’t have a fun time playing with my friends. Still, I would wait for at least a ten dollar price drop. For 30 bucks, Sacred 3 is a decent beat ‘em up that you and a few friends can have a fun time with if you look past the Sacred name. It's sad, because Sacred 3 can be a lot of fun, and there's plenty of content - even if the world map has locked stages that exist simply to keep trying to sell you downloadable content (seriously, it's gauche as hell). It's just that, for as much content as there is, there's not enough gameplay to keep it exhilarating. I can see how Sacred 3 is going to upset purists and longtime fans; the latest entry has as much in common with Skylanders as it does with previous entries, to be honest. If you’re dead-set on an open world, this one’s dead in the water. If you liked last year’s Sacred: Citadel and want a slightly deeper take on it, however, it’s worth a shot. 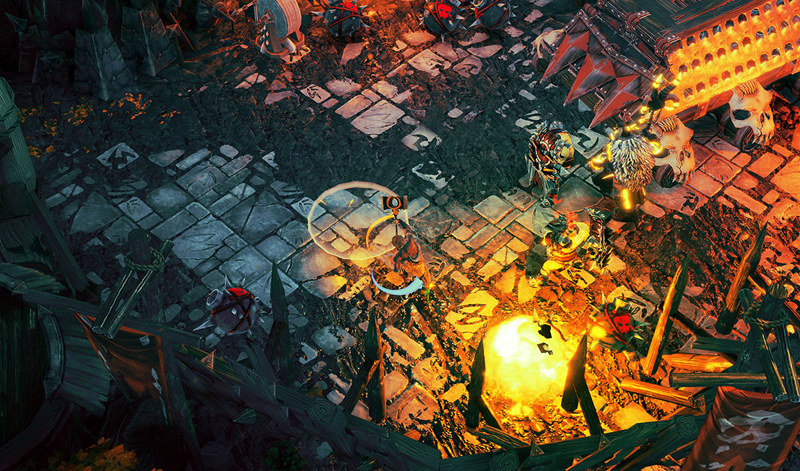 As it stands, Sacred 3 feels distinctly average. The game works well enough at what it presents and is largely annoyance-free (though the checkpointing system could be better and I had a save-game issue where my progress wasn't saved from one session to another) but there's better and more rewarding games out there right now that you should seek out first. 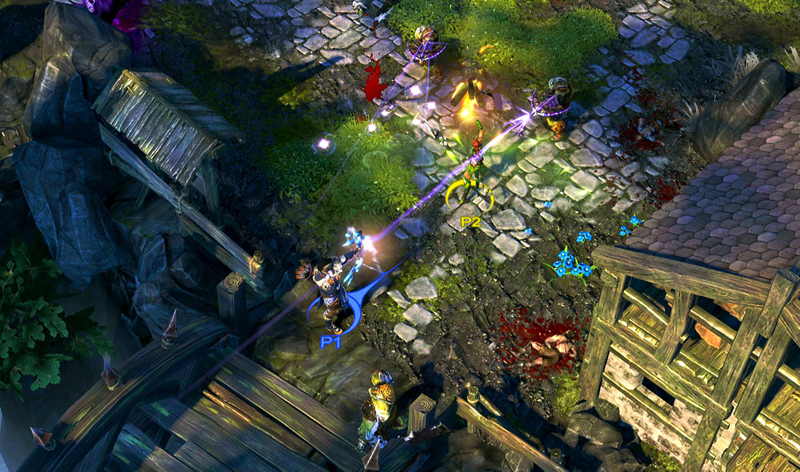 Sacred 3 is a beautifully detailed, enjoyably shallow experience that's better with friends. Sacred 2 fans hoping for a real action-RPG likely won't be pleased, but as a simple, straightforward slash-'em-up, this stands ably enough on its own. Unfortunately Sacred 3 was enough of a turn-off that I couldn’t bring myself to play past the second chapter, and I’m very glad I didn’t. If you’ve really got money to blow, I think the game can be a nice diversion for a day off from work, but otherwise, you’re better off playing Diablo on the console. Frankly, I’m not sure what the developers were thinking with Sacred 3. The gameplay, of course, screams Diablo III or Torchlight clone, but those games actually provided worlds you could really explore and discover. Also, people really enjoy them. I definitely had fonder memories playing each of them than Sacred 3, and they’re not even in a genre I usually play. That should really say enough. Not as much as better hook in the gameplay department would have. It’s easy to keep harping on a loot system for the game, but as it stands, new weapons and powerups are few and far between, and more of them, alongside deeper customization options would have been nice. It’s a shame that the gameplay and features surrounding it isn’t a more compelling package in Sacred 3, because it doesn’t present itself badly at face value. 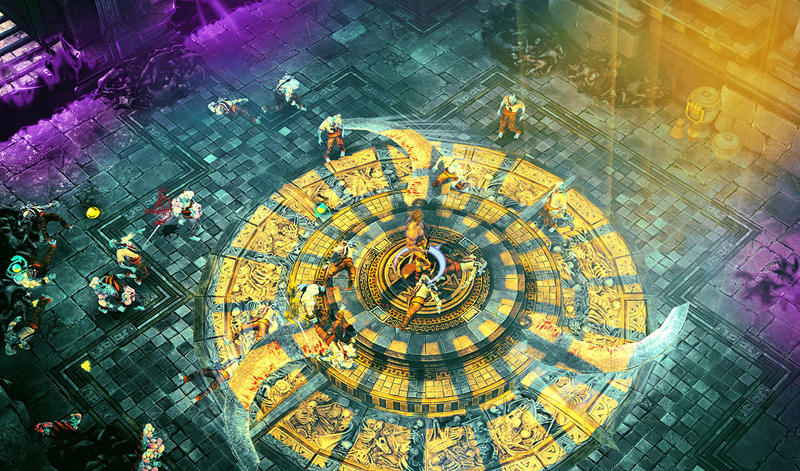 Sacred went from a varied Diablo clone to a Gauntlet clone, but doesn’t live up to either. While it may be a good hack-and-slash appetizer to tide gamers over, it never manages to distinguish itself in the genre. Sacred 3‘s repetitiveness and extra levels are signs of laziness in game development, and that’s hard to overlook as a player. But what’s not there is even more telling – anything new to write home about. In the end, I don’t think Sacred 3 knew what its own genre was. If it was self-aware that this was nothing more than a hack and slash dungeon crawler, it could have gone the extra mile and given it a refreshing arcade feel, like Dragon’s Crown did. 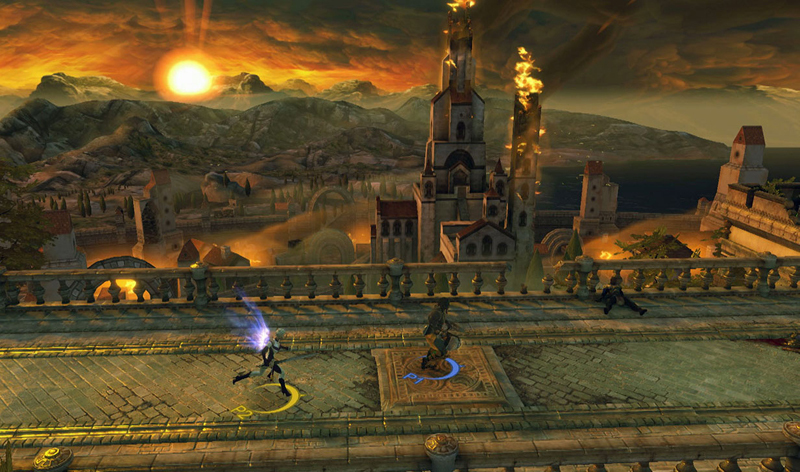 However, Sacred 3 thinks it’s a serious ARPG, and as a serious ARPG it simply falls up short. There simply are not enough ways to say, "Do not buy this game". It is not worth its price tag and the dollars spent to hours of enjoyment is missing in every conceivable way. Perhaps there is a tiny niche of players who will enjoy it for a time before moving on but, as yet, they haven't materialized. 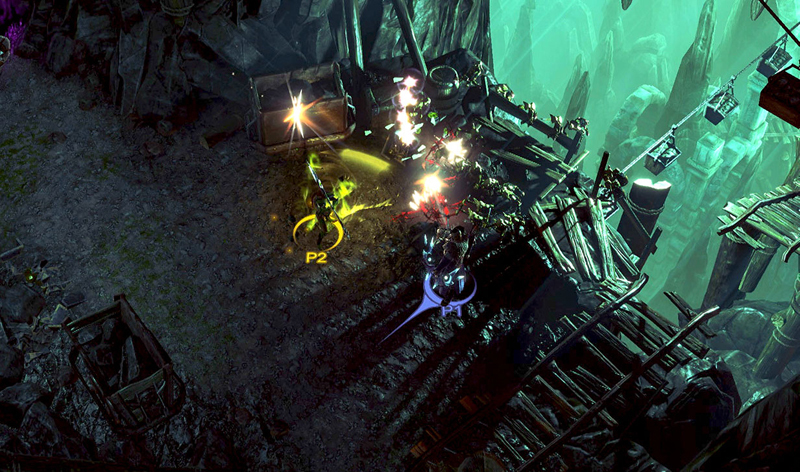 Despite a few quibbles, Sacred 3’s action flows freely (even if the treasure doesn’t). If you're a fan of the previous, more Diablo-like entries in the Sacred series you might be disappointed with some of this sequel’s retooling. But if you're hungry for a game to play alongside a few friends, one where you can relax, laugh, and bust some bad guys, and don’t mind a bit of repetition without much loot to show for it, Sacred 3 makes for a passable, if flawed, meal. Sacred 3 has the skeleton of a fun co-op hack 'n' slash experience, but it's marred by too much repetition, balance issues, and the worst comedy routine this side of Open Mic Night at the Middle of Nowhere Comedy Shack. Sacred 3 is a fair hack-‘n’-slasher. It runs well, and if you’re into such games, I bet you’ll have some fun. But it doesn’t carry on its heritage as one of the most unsung action-RPGs franchises, and if you come into it with those expectations, you will only find disappointment. A poorly-told story with odious voice-acting, crushing linearity, a total lack of customization right down to clothing and levelling upgrades, and an absolute distain for single-player gamers are its biggest faults. None of these manage to stop it from being a really fun and well designed ARPG, which is addictive with one player and utterly glorious in co-op. The linearity and other lack of reasons to do so stop replayability dead however, so beyond maybe an odd further playthrough of certain maps in co-op you’ll be done in about 10-15 hours. But the flipside is that the simplicity of the game's combat is heavily pronounced. There's little depth in the fighting, while the upgrade system is tiresome and its rewards meaningless. As long as you play this in short, focused sessions, the game still works as a piece of throwaway entertainment. See it as a more arcade-orientated take on Diablo, and treat it as such, and you'll enjoy your time. Sacred 3 es un 'beat'em up' entretenido, sobre todo por su apartado mulitjugador cooperativo -tanto en red como local- y poco más. Ha perdido todo resto de lo que fuese una de las sagas estrella de Ascaron Entertainment, reduciendo cualquier aspecto relacionado con el rol o la libertad de movimiento. Sacred 3 es un juego que con amigos sabe entretener y hacernos pasar un buen rato mientras luchamos sin descanso contra hordas y hordas de enemigos. Sin embargo, se acaba volviendo un poco repetitivo a la larga, tanto por las mecánicas que nos plantea en cada nivel como por lo limitado que está su sistema de combate. Gracias a lo intenso de su acción y su divertido multijugador cooperativo, Sacred 3 es un buen hack ‘n’ slash que os lo hará pasar realmente bien mientras os enfrentáis a las tropas del Emperador Zane. Las batallas son dinámicas y espectaculares, aunque también pecan de ser repetitivas y poco profundas a nivel de opciones de juego. Una mayor personalización en las habilidades de nuestros héroes le habría sentado genial. Kommen wir zur Technik und dazu, dass ihr, habt ihr die Wahl, die PC-Version nehmen solltet. Die sieht nicht nur dank ein paar mehr bunter Effekte netter aus, sie ruckelt auf halbwegs brauchbarer Hardware auch nicht. Ganz im Gegensatz zu der Xbox-360- und PS3-Version, bei der man sich an die konsequent im unteren 20er-Bereich arbeitende Bildrate zwar mit der Zeit gewöhnt, aber schön ist das trotzdem nicht. Aber es liegt eben doch der Schatten verpasster Möglichkeiten über dem Ganzen, denn Sacred 3 ist auch ein enorm oberflächliches Spiel - ohne komplexe Kombos oder vielfältige Beute bietet es wenig, in das ich mich wirklich langfristig versenken kann. Es bleibt also beim schnellen Metzelspaß für zwischendurch. Und das muss ja auch gar nichts Schlechtes sein, solange man weiß, was einen erwartet. Das Problem ist nicht einmal, dass der Schriftzug Sacred 3 auf dem Cover prangt, obwohl der Titel außer dem Schauplatz Ancaria und der Seraphim als spielbare Figur wenig mit der einstmals ruhmreichen Hack&Slay;-Serie aus deutschen Landen gemeinsam hat. Viel schwerer wiegt, dass die Umstellung auf ein beutefreies, lineares sowie beinahe herausforderungsfreies Rumgekloppe auch dann nicht optimal funktionieren würde, wenn "Abenteuer in Ancaria" oder sonstwas der Name wäre. Heureusement, le système de combat garantit un bon défouloir à plusieurs, et le moteur du jeu n'est pas vilain. C'est quand même peu par rapport aux attentes des fans de longue date qui ne se sentiront plus vraiment chez eux. Si on devait le comparer au prestige et à la richesse qu'implique son patronyme même, Sacred 3 n'est que l'ombre de son prédécesseur. Si on le juge uniquement pour ce qu'il est, Sacred 3 est un hack'n slash / beat'em all tout ce qu'il y a de plus générique, avec un gameplay classique, des évolutions et personnalisations réduites à leur plus simple expression et un scénario timbre-poste. Perché con un pizzico di personalizzazione del personaggio, qualche abilità in più e una maggiore libertà d'azione, Sacred 3 avrebbe potuto ambire ad essere qualcosa di più di un semplice riempitivo in attesa della Ultimate Evil Edition di Diablo III su console. Il gioco è divertente, frenetico e spettacolare, e la trama è raccontata con un piglio scanzonato e ironico che non fa mai male a questo genere di produzioni. Sono almeno tre i difetti che fanno affondare Sacred 3. Giocata in singolo, la Campagna è davvero troppo monotona e ripetitiva, il loot è praticamente inesistente e lo spazio per la personalizzazione fa rimpiangere qualsiasi action-GdR degno di questo nome. 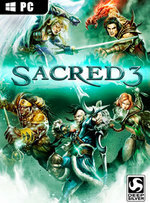 Sacred 3 is een game met weinig ambitie en Keen Games slaagt er alsnog niet in om alle doelstellingen te vervullen. Enkel de charmante humor en sfeer geven dit avontuur een uniek karakter, maar dat is niet genoeg om de ongeïnspireerde en eentonige game er rond te redden.